Mist is generally innocuous. Minuscule water droplets—nearly vaporous—rarely present any threats to life or property. Instead, water mist often has relatively benign applications, from dampening oneself for cooling off in the smoldering heat to spraying a cat or dog to curb its bad behavior. However, mist also has a powerful, more potent side to it. In fact, mist can combat fire. Water mist fire protection systems use a specific spray mist that absorbs heat, displaces oxygen, or blocks radiant heat to control, suppress, or extinguish fires. In cooling both the flame and surrounding gases through evaporation and other means, water mist fire protection systems immediately activate, introduce no toxic problems, are highly efficient, minimize water damage, and are environmentally sound. NFPA 750-2019 contains the minimum guidelines for the design, installation, maintenance, and testing of water mist fire protection systems. With this information, this standard strives to provide protection for life and property from fire. 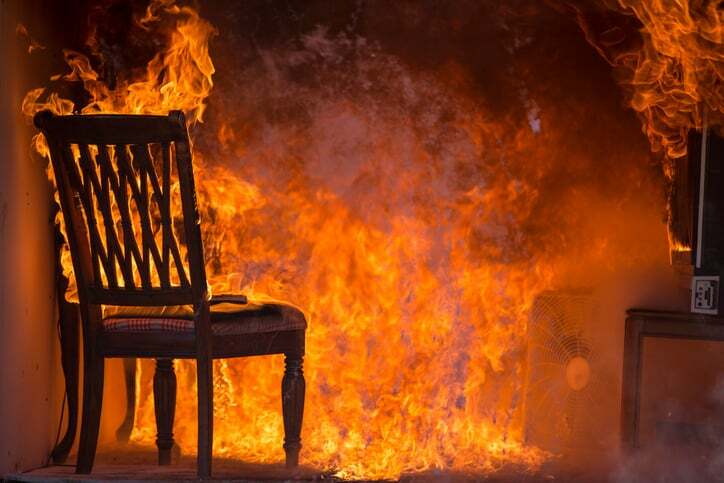 This American National Standard does not, however, provide definitive fire performance criteria, nor does it give specific guidance on how to design a system purposed with controlling, suppressing, or extinguishing a fire. NFPA 750-2019 details characteristics, occupancy classification, system components and hardware, installation, design objectives, occupancy protection systems, calculations, water supplies, and documentation for water mist fire protection systems. In accordance with NFPA 750-2019, piping systems can be low, intermediate, or high pressure, and occupancies are classified as light hazard, ordinary hazard (Group 1, or OHI), or ordinary hazard (Group 2, or OH2). Clarified definitions of a gridded water mist system and twin-fluid systems. Clarified which devices can be used as automatic means, which components can be used as provisions for cleaning, and the specifications of pressure-indicating devices used on a common manifold system. Clarified that a listed system necessitates any mixed components or systems to have been tested together, and expanded guidelines to include configurations allowed in current listed solutions. New section 12.5.5.3 added to prevent debris and contaminants from entering a water mist system by stipulating a strainer or filter after the fire department connection (FDC), and clarified the location of the FDC on a low-pressure water mist system. Replaced the terms pressure container and pressurized container with the newly-defined term pressure vessel, and replaced the phrase safety device to release excess pressure with pressure relief device to maintain consistency with industry practices and terminology. Updated reference documents, extracts, and formatting to comply with the Manual of Style for NFPA Technical Committee Documents. NFPA 750-2019: Standard on Water Mist Fire Protection Systems, 2019 edition is available on the ANSI Webstore.